Javier Colon performs at Achieve Hartford! Winner of NBC’s "The Voice," Javier Colon, is a rare combination of talent, star-power, and humility. His extraordinary tenor voice and “acoustic soul” style bring spiritual integrity and musical sophistication to his pop song chart. The growing collection of original work Colon has developed over the last several years often showcases personal stories about relationships and his family life. While Colon's career is over a decade long, it was in 2011 that he captured the hearts of over 13 million NBC viewers who selected him as "The Voice." "I try to write about stuff that pertains to me," Colon said. "I write a lot about my family, and a lot about things that affect all of us. And by writing these songs, it affects me too. It can be a very emotional experience, a very draining experience, because I write stuff that’s very close to home." Today, Colon’s career takes him on concert tours from coast to coast and occasionally overseas. His musical collaborations and recording sessions include regular visits to Los Angeles, New York, and Nashville. Yet despite all the travel, and more so because of it, Connecticut remains his home. It’s his constant; the place that provides a healthy support system for his family, including wife Maureen and their three young children. Colon said, "Connecticut’s always been home. It just feels like where I’m supposed to be." In a recent interview in the CPTV studios, Colon shared an update on life since "The Voice," including some insight into his early music training at the University of Hartford’s Hartt School, a glimpse at his involvement in the community with Achieve Hartford!, and his passion for developing young voices. Our television crew had a chance to capture Javier leading a master class with some amazing teen vocalists at ACES: the Educational Center for the Arts in New Haven. Colon's efforts with young people reflect some of his own musical experiences that were motivated by his middle school teachers. "I didn’t really think I was anything special when I was in seventh and eighth grade," he said, "but my teachers pushed me. They saw some talent there. They saw more talent than I saw." 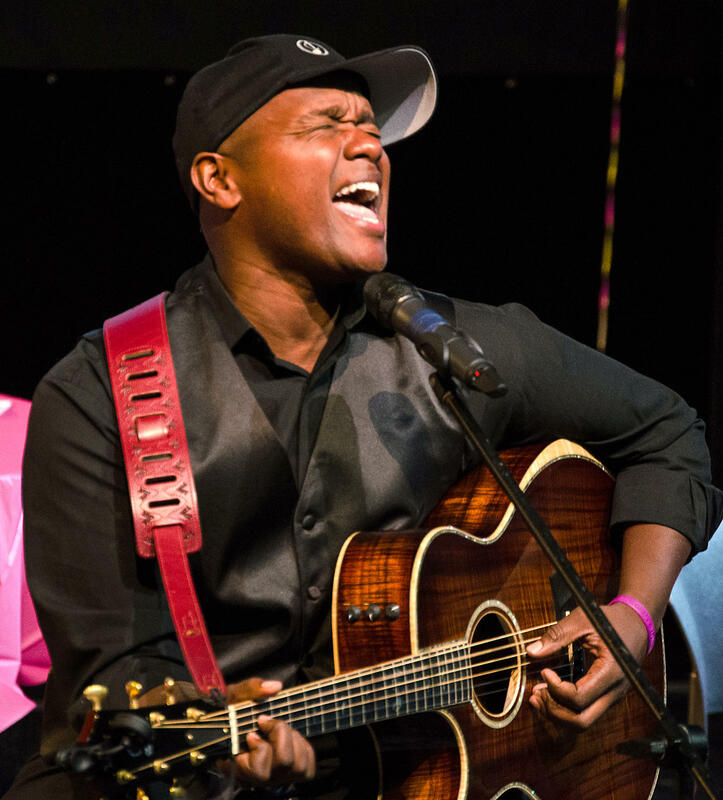 In this Spotlight on the Arts video, meet the Connecticut side of Javier Colon—America’s "voice" and our next door neighbor.